In a letter sent to the U.S. Department of Transportation in Washington, ground employees of Atlas Air and Polar Air charge DHL of illegal practices. Their point: Deutsche Post subsidiary DHL is “impermissibly controlling American carriers in violation of existing legal and regulatory requirements.” A serious accusation! The allegations are severe. For example: According to the ground staff, daily technical checks of aircraft belonging to Atlas Air but operating on behalf of DHL Express are performed in 30 minutes – a task that normally needs 6 hours of ground time, state the Atlas Air ground staff at Purchase, New York State. By doing so, applicable technical and safety regulations were disregarded frequently for the sole reason of meeting the stiff DHL flight schedule in order to secure the operational profitability, claim the authors. The inspection of an Atlas Air freighter that suffered a lightning strike took only one hour after the aircraft had safely landed. Scandalous, find the complainants, because after such an occurrence happened checking the freighter’s instruments, maneuverability and possible damages caused by the strike “should take a minimum of 8 hours,” reads their paper to the DOT. From the perspective of the authors it is clear who the guilty party is: DHL. It’s the German integrator’s ground manuals that are being used to conduct flight operations from and to U.S. airports even though Atlas and Polar have their own approved manuals by the FAA. “DHL does have a forceful authority in the way Atlas conduct(s) business,” claim the Teamsters of Purchase, NY. Therefore, the foreign integrator is the one to blame of causing the breaching of U.S. security regulations thus acting illegally. Leaving the allegations aside for a moment, which the U.S. authorities will surely go after and investigate in due time. What is the Teamsters’ real airm? So the question arises, what the DOT has to do with bonus systems? This is a matter to be negotiated between unions and management, not dictated by state authorities, provided no law is violated by any of the parties. Below the line, it appears that the ground workers’ primary objective is securing the financial status of some of their members. By putting pressure on Atlas, DHL and Polar, accusing them of illegal practices and involving the regulator could be their tool to reach their goal. If they are well advised by doing so will be seen. 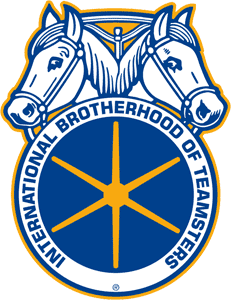 It surely won’t better the relationship between the Teamsters and their employers in the months ahead. Meanwhile it is Washington’s DOT to take action by going after the different allegations mentioned in the complaint. The outcome will be interesting to see. It should however be noted that this complaint, whether correct or not, has been submitted to the U.S. government by the Atlas employees and therefore will officially be filed as such. The key issue to the whole thing is that they are not the only airlines accusing DHL that despite their not been allowed to operate as a U.S. carrier due to the foreign ownership rules in place in America; are in the accusation controlling Atlas, itself a renowned U.S. airline. Others also claim that Polar Air is run and controlled by DHL and the Kalitta and ATSG pilots unions have already tabled the very same issue. Not long back Atlas bought Southern Air whose main client at the time of sale was DHL. An interesting development which if turned over by the U.S. authorities could give DHL a hard time. Assuming of course that the allegations were all true. CargoForwarder Global has approached DHL asking for an official statement on this claim from the Atlas employees. Regretfully, a company spokesperson declined to comment. So, why are American pilots fly German freight??? Nobody (including the to called "Vereinigtes Cockpit"/union) have the guts to challenge the fact that American pilots fly German work (I believe DHL is 100% Deutsche Post). Imagine European pilots would operate out of America for a European operator - no way! But then I forgot Germany is still not a sovereign state - it is still being pushed around, in that case by the Americans.